Sometimes, once client boot to desktop and after 5 minutes later, CCBoot's Write Speed value is still very large (For example, the value would be above "12.3M".) If this happens and clients experience slowness, you can solve this problem according to the following steps (Figure 1-1). 1) On the CCBoot server, enable superclient for one of the PC (Example: PC102). 2) Then diskless boot PC102. 3) After booting the client, open the "Windows Task Manager". 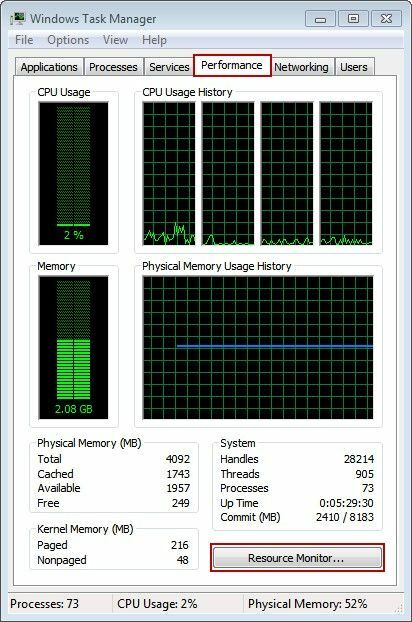 4) Select the "Performance" tab, and then click the "Resource Monitor" button (Figure 1-2). 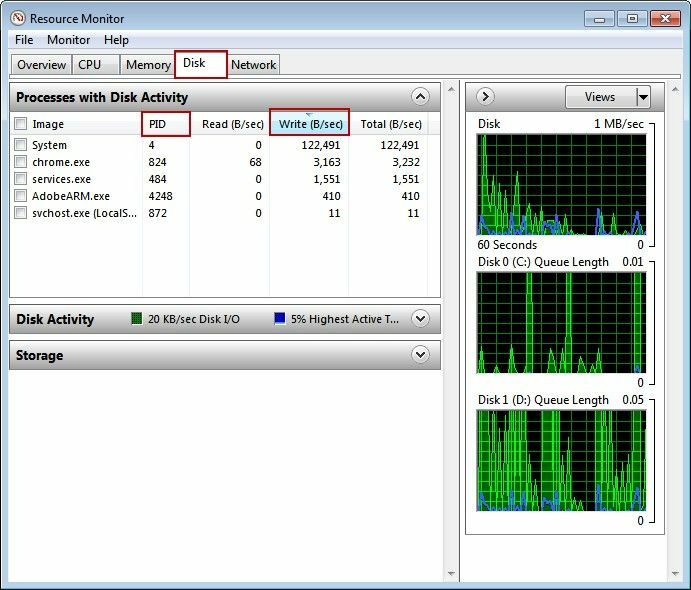 5) In the "Resource Monitor" windows, select the "Disk" tab, then click the "write" to sort, and to find the "PID" value of large write-back speed. (Let's take "Chrome.exe" for example, its PID value is 824.) (Figure 1-3). 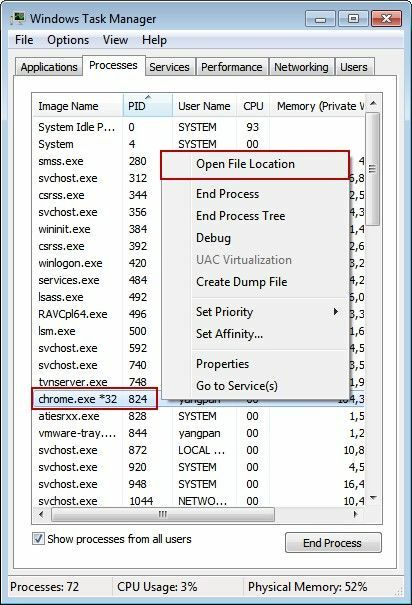 6) In the "Windows Task Manager" dialog box, select the "Processes" tab, click the "PID" to sort, right-click the "824", at last, select the "Open File Location" (Figure 1-4). 7) Thus, you will find the large write-back speed's program directory. 8) Uninstall this program, and then shutdown the computer. 9) After client is turned off, disable the super client and save the image. 10) This will stop the large writes on the server, thus clients do not experience lag or slowness.